El Nido, Palawan in the Philippines is paradise. So, if you haven’t been there, I encourage you to go visit. Add it in your bucket list. It’s simply a wonderful place. And upon visiting, I recommend you to stay at Sea Cocoon Hotel. We stayed there for 3 days and 3 nights. It was awesome. It’s one of the reasons why we enjoyed our vacation in El Nido. This is a midrange hotel located in the heart of the town proper. El Nido’s accommodation in general, has a bad reputation. Many travelers rant about it on social media. Especially, those travelers (travel vlogger) who don’t understand the concept of “you get what you pay for”. Even saying, “El Nido has the worst accommodation”. But for us, who stayed in this hotel, we had a totally different experience. We had a very comfortable and relaxing stay. That made our vacation almost perfect, in general. It is very clean. The bathroom is spotless, floors are being mopped constantly by the staff. Every single detail is squeaky clean. The breakfast, though not buffet, is very generous. You’ll have a choice between Filipino and Western. I love their Filipino breakfast. I ordered it every single day when we were there. Fried garlic rice, veggies (kamatis at pipino), and a choice between, fried fish (looks like tuna, tanigue, or blue marlin; something like that) and Filipino cured meat (tocino, longganisa, tapa), and eggs. Free flowing coffee, juice, tea and unlimited fruits and cereals-the plain classic one and choco flavor. My foreign friends enjoyed their western breakfast and brewed coffee. The water pressure is strong. 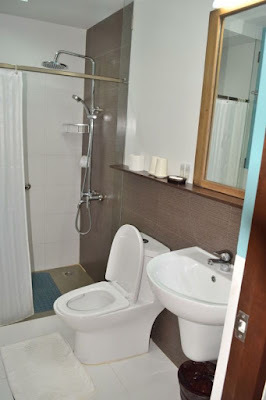 Water pressure is a problem in many accommodations in Palawan. But here, no worries. Pressure is always strong. I especially love their rain shower; so good after a day of island hopping. Soap, shampoo, and towels, are provided. It’s always good to have a balcony at your room. For sightseeing, hanging out with friends, chitchatting, or simply drying your wet clothes from island hopping. Every room has a balcony, and some rooms have sea view and pool view, too. I love how this hotel has that minimalist feel. The room feels spacious because of the minimalist design. Their open cabinets-for example-gives the room a more spacious, and simplistic look. 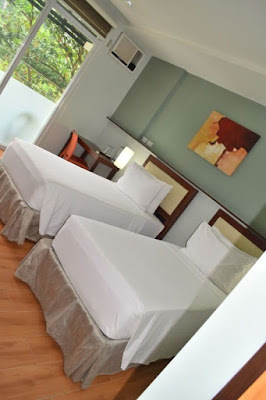 The motto of this hotel is, Your Comfort is Our Pride. And they really live up to their motto. Beds are comfy, pillows soft, cool sofas-not just in the lobby but on every floor, as well-flat screen TV in the dining area, spacious and clean dining tables, shower and changing rooms by the swimming pool, cable TV, hot and cold shower, and air-conditioner-every detail is made sure to make guests comfortable. Dipping in the pool on a hot, humid day, practicing your snorkelling skills (it’s harder than you think), or simply reading while enjoying mango shake and swimming once in a while? Yes, please. Each and every member of the staff-from front desk personnel, the janitors, to the waiters-are friendly and efficient. The check-in process was smooth, requesting for transfers, laundry-they always do them with a smile and efficiency. You can really see that they are highly trained. We were relaxing in the pool after our Tour A. We were on the beach chairs talking and checking some photos when one of the staffs handed us towels. It was automatic. No need for requests. Excellent service. 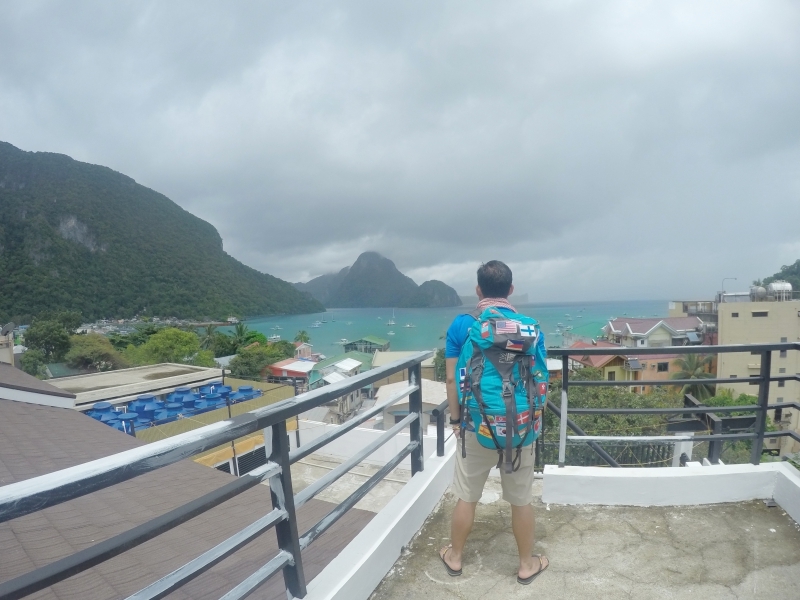 From the hotel you can see the sea, El Nido town proper beach, and the majestic limestone karst mountains. If you are lazy, no need to go to Marimegmeg Beach to watch the sunset. You can view it from the comfort of your room. Or if your room has no sea view, simply go on top. You can hangout there with friends while having a wonderful view. The hotel is located in the heart of the town proper (“sa city mismo”). It is 3-minute walk to the port/pier-this is where you go for your island hopping tours. The Municipal Hall and Health Center is close by, about 1 minute walk. ATM’s can be found in the Municipal Hall (Yes, there are now ATM’s in El Nido. And they accept Visa, Mastercard, and our Union Pay cards, yay!). Restaurants, bars, boutiques, massage places, The Canopy Walk, are all walking distance. It means you don’t have to take a tricycle to have dinner. When traveling, safety is my priority. I love hotels with vaults because it allows me to have a worry-free vacation. I just throw in my valuables inside-like passport (Don’t bring your passport with you all the time when traveling. That advice is stupid. Leave your passport in a safe in your hotel room. Bring a photocopy instead, and business card of your hotel. )-then enjoy exploring the place without worries. Each room has an electronic safe; a big plus for this hotel. There is a regular power outage (we Filipinos call it, “brownout”) in Palawan. I don’t really mind it, most of the time, as I don’t work when I’m on vacation. But for some people who can’t live without electricity, worry not, as this hotel has a generator. We didn’t had problems with electricity when we were there. Some hotels in Palawan don’t have generators. You have been warned. 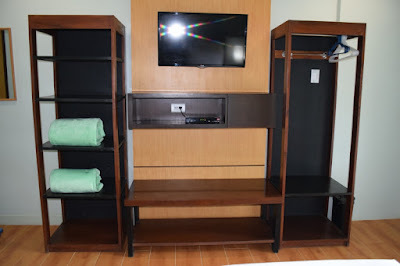 This hotel is finally the answer to the “worst accommodation” problem of El Nido. It may not be a budget hotel, but it is not ridiculously expensive, as well. And more importantly, the value for money rating of this hotel is very high. It simply means, you really get what you pay for. 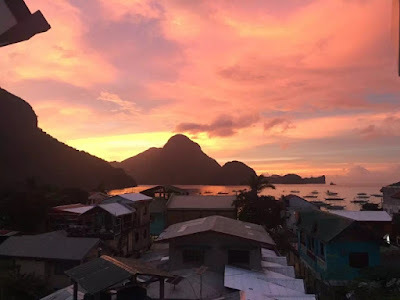 El Nido is a tourist-oriented town. And like most tourists oriented town/area in the world, (Koh Phi Phi, Venice, Khaosan, Phuket, Bali, Paris, to name a few) it is overpriced. That includes accommodations. 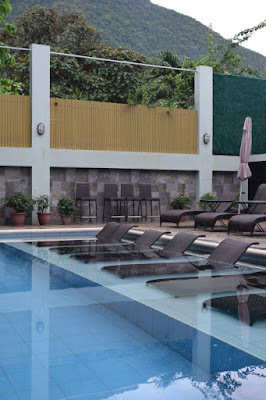 But having this hotel, Sea Cocoon Hotel, in El Nido, I can say that you can have a very comfortable stay in El Nido without breaking the bank. The price of staying at this hotel-in relation to what it offers, and where it is located-is really good. So when going to this paradise, stay at Sea Cocoon Hotel for a more happy, safe, relaxed, and comfortable vacation.